Because they are constantly growing, children who have suffered limb-loss require a new prosthetic leg roughly every twelve months. In the UK these legs are usually provided by the NHS and children can receive all the care and support they need from specialist prosthestists. However, in Africa, mobility centres are often unable to meet demand and many children are left without the prosthetics they need to live active, fulfilling lives. 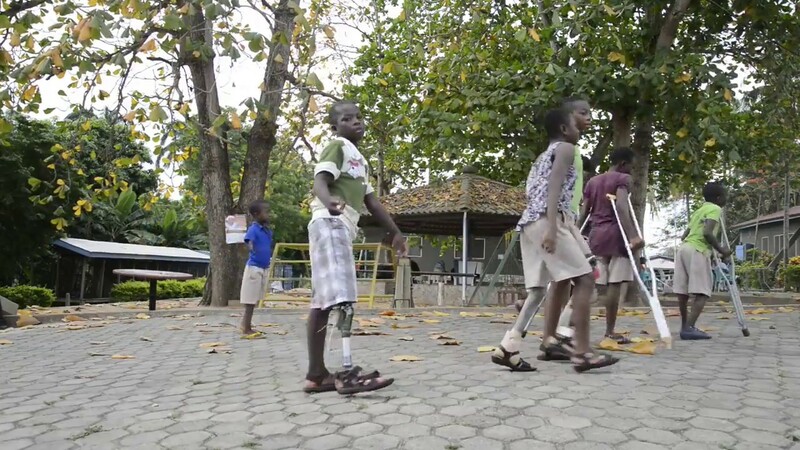 Legs4Africa works to meet this demand by collecting used artificial legs from young amputees in the UK and sending them over to West Africa where they can be re-adapted and fitted to children. We are working closely with the Orthopedic Training Centre (OTC) in Ghana – a centre that specialises in children’s prosthetics. Sister Elizabeth Newman, Orthotics Training Centre, Ghana. Donating a child’s artificial leg is easy, simply send us a message through the form at the bottom of this page explaining who you are and what you would like to donate, and we’ll work with you to make sure that your kind donation helps a child in Africa to get back on their feet as soon as possible. How many Little Legs would you like to donate? Do you have a message that you would like to share with us? Keep up to date with our not so regular newsletter?